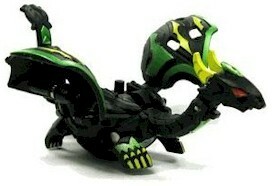 Bakugan Gundalian Invaders - Special set of Bakugans from the third season along with introduction of Battle Gears. Set K is the first set for 2010, with set L and M to follow. Some of these Bakugans will have two equidistant tabs and a magnet in their back when open, which allow Bakugan Battle Gears to be attached on them. Also the color schemes for some attributes will be changed.